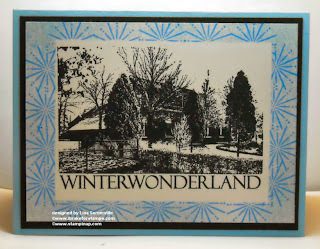 Another quick and easy Holiday card using the Winter Wonderland image from IBFS, SU's Snowburst Stamp Set and the Masked Frames Technique. Gotta love cards that come together in 5 minutes! great card! i really enjoy your art.